Texas Southern first baseman Christian Sanchez could easily be a first-string linebacker on the Tigers’ football team. The imposing 6-foot-1, 230-pound PSJA High alum is a baseball beast. He was a 2014 All-Area First-Team selection by The Monitor after his senior football season. Fast forward a few years, and power is still the name of the game for Sanchez. After starting out slow as a freshman at Texas Southern, Sanchez improved his batting percentage 79 points to .293 as a sophomore. He led the team in RBIs with 30 in 2017, and he added five home runs while striking out just 27 times in 137 at-bats. Through 14 games this year — mostly at designated hitter — Sanchez continues to improve. His batting average is .291, and he already has six home runs and 10 RBIs through barely one-third of the schedule. Sanchez and his home runs played a key role in the Tigers’ 2017 run to the SWAC Championship. Texas Southern is a Division I historically black college in Houston and faces teams such as Prairie View A&M, Grambling State and Southern during the conference season. Even with a below .500 record last year in conference play, TSU barnstormed the tourney and took the title, qualifying for the NCAA Tournament. The Tigers typically have a stout nonconference schedule, and this year is no different. They face Mississippi State, Kansas, Houston, Texas, Baylor and this week have a series against Oklahoma. The strength of schedule helps the team get ready for conference play, and playing bigger schools exposes Sanchez to more Major League Baseball scouts, who he’s already beginning to hear from. PSJA Southwest grad Uriel Garcia has been named a top-20 male semifinalist for the 2018 Arthur Ashe Jr. Sports Scholar Award. 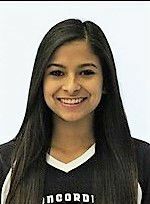 Garcia, a senior soccer player from Houston-Victoria, is among the more than 1,000 outstanding minority student-athletes nationwide nominated by their respective institutions. In addition to their athletic ability, students named Arthur Ashe Jr. Sports Scholars must maintain a cumulative grade-point average of at least 3.2, be at least a sophomore academically, and be active on their campuses or in their communities. 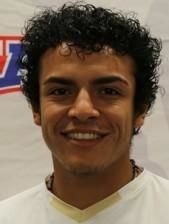 Garcia, a defender for the NAIA Jaguars, was named to the President/Dean’s list for earning a 4.0 GPA last fall semester. The activities he has been involved in include volunteering with Samaritan’s Purse for Hurricane Harvey Relief, helping at the animal control center, raising money for men’s health research and for the past three years helping with UHV soccer blood drives. The Navarro Junior College softball program is one of the best in the country. The Bulldogs have won 10 NJCAA Region XIV titles and qualified for the national junior college championship tournament four times in the last 20 years. McAllen Memorial’s Megan Segree knew that. The all-district pitcher and all-around player signed with Navarro last spring, and so far, 5-foot-8 freshman has had a positive experience. Segree, who is primarily pitching for Navarro, has appeared in eight games, starting three. She is 1-0 with a 3.06 ERA in 34 1/3 innings and has pitched two complete games. Navarro is 10-8 on the year. 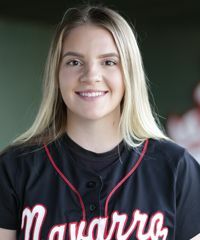 Haley Dennett entered college softball with a splash two years ago at Austin’s Concordia University, a Division III school. Dennett, the former all-area and all-district pick from Edinburg North, batted .308 and collected 36 hits for the Tornados while also picking up some all-conference accolades. Last year, she hit .271 with 30 singles, five doubles and 22 RBIs. Evidently, the 5-foot-6 shortstop was just setting the table for this year. Dennett is helping lead Concordia’s renaissance after four consecutive losing seasons. Through 2018’s first 10 games, Dennett is batting .394 — second best on the team among players with at least 20 at bats. The right-hander, who bats lefty, has a .429 on-base percentage. In the field, the junior has a near perfect .967 fielding percentage, handling all but one of her total chances.